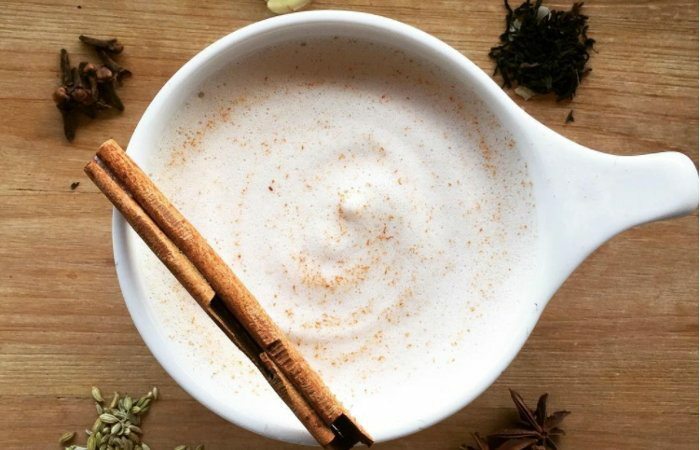 We all know about the popular spots to grab a solid cup of joe, but you might be surprised to learn about a few of these and all the good stuff (and vibes) they have to offer! 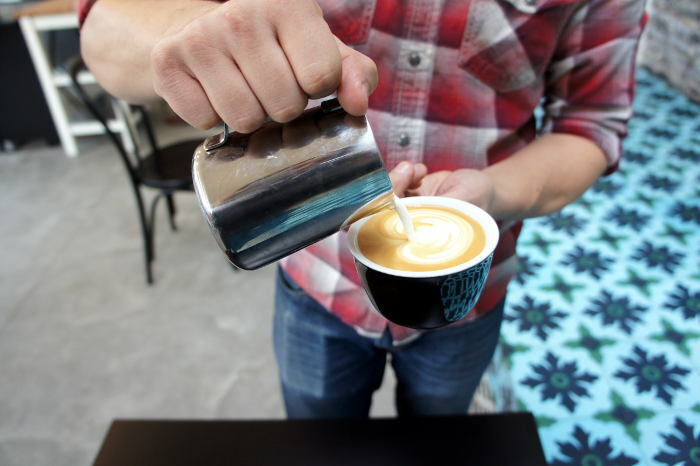 Check out this list of coffee shops in the area next time you’re in need of your coffee fix. 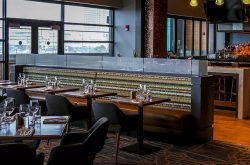 Five Points is the kind of place you definitely want to have in your back pocket in case you’re in need of a quiet place to chill, a killer toast menu (always), or somewhere impressive to bring out-of-town friend that will leave them wanting to move to Buffalo. They serve a tasty cup of coffee ($2) and have some seriously wonderful breakfast options. You really can’t go wrong with any of their breads or sweets, but I highly recommend the Apple Cider bread served with triple cream brie ($6.75). 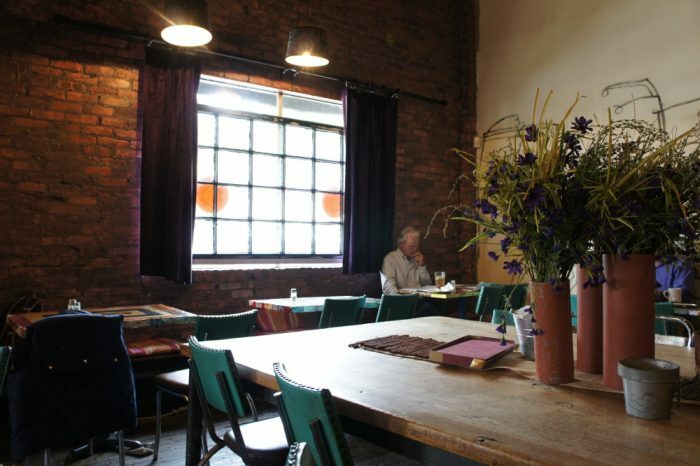 The clean, modern atmosphere at Tipicomakes it the perfect coffee shop to check out if you’re looking to clear your mind. While you’re there, don’t miss the largest Kachelofen (heating system) in North America. 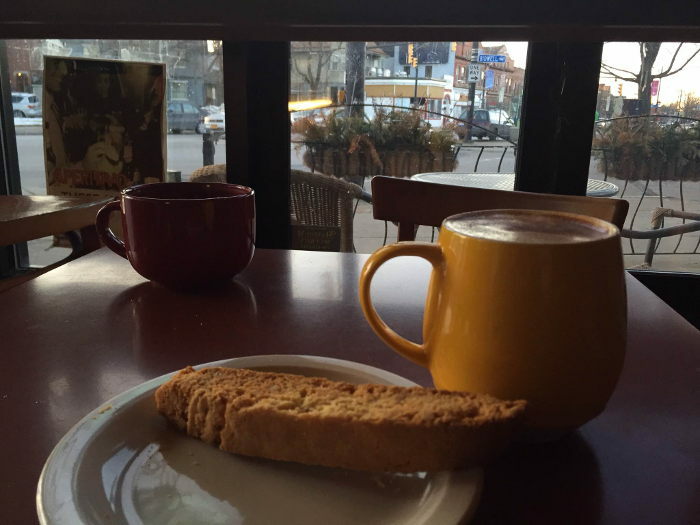 Bring a book to cozy up with while you sip on a beautifully designed latte ($3.25-$4.25) and sink your teeth into some ricotta and jam toast ($3). This coffee shop is rocking a killer funeral-esque theme. Why, you ask? The space used to be a funeral home. Duh. One wall features a mural of skeleton musicians and menu items are named after famous dead people in Buffalo’s history.. Sip on one of their flavored lattes ($2.95-$4.45) like the brown sugar cinnamon latte (in a mug with a dead person’s face on it) and nosh on The Rick James B**** sandwich ($11) which is a rye club stuffed with turkey, bacon, lettuce, tomato, swiss, crumbled, chips, housemade spicy honey coleslaw and 1,000 island dressing. The shop is cute and always lively. If comfy seating and hand poured coffee is what you’re looking for, head to Public Espresso inside The Lafayette. We highly recommend their lavender latte ($4.50) and the Butter Block handmade pop-tarts are to die for if you can snag one. They also have a rotating array of other baked goods like oreos, chocolate croissants, or bagels, and cookies. One of the things we love about Spot is that they design each location to reflect the surrounding area . In addition to regular coffee, you’ll find a variety of caffeine options including espresso drinks, iced coffee, and Organic Fair Trade Tea. On the food menu they have pizzas, sandwiches, salads, and baked goods. Try their Cinco Shake ($4.25-$5.45) made with espresso, white chocolate, caramel, and vanilla and topped with whipped cream. When it comes to 100 Acres, the view and ambiance are reasonto visit alone! Many people know that the resident restaurant at Hotel Henry serves dinner by night, but did you know come morning they open as a full-service coffee shop?t frittata ($5), breakfast sandwiche ($7), coffee cake ($4), and more! Plus, wash your breakfast down with a cold brew ($2.80) to start your day right.! It’s unusual menu items like the Turkey and Brie Monte Cristo ($9.25) made with two slices of French toast, cranberry jam, brie, sliced turkey & arugula that keep people going back to Perks again and again.. Try their variety of hot and cold rose and lavender drinks and don’t miss their …wait for it.. Butterbeer Latte ($3.75-$4.75) made with espresso, steamed milk, caramel, hazelnut, and toffee. Harry Potter fans, rejoice! You may have heard how good their coffee is, but did you know Sweet_ness 7 regularly kills it in the food department too? You might even think of this more as a full-on brunch spot vs. a coffee shop.. While you’re in, grab a Mexican Coffee made with chocolate, cinnamon, brown sugar, nutmeg, and their house coffee ($4.50) to sip on as you peruse the food menu. We suggest Megan Mcleod’s Stacks made with two eggs on top of their spicy, cheesy grits, local pork sausage, and fresh tomato served with toasted bread ($9). You cannot leave this place without getting something to eat. There we said it. Did you know there’s a coffee shop inside the Main Place Mall? 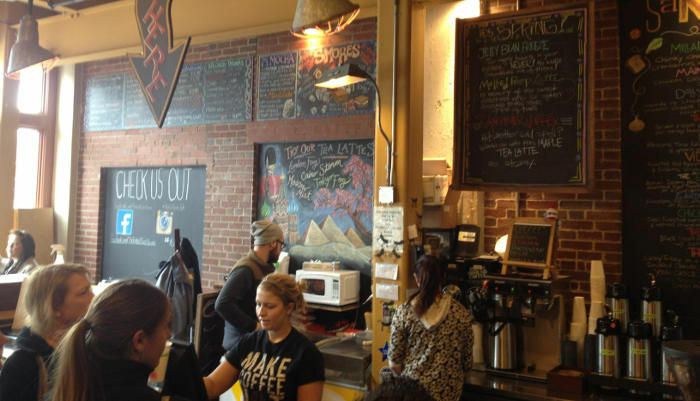 Buffalo Coffee Roastery serves delicious, and inexpensive, coffee ($1.79-$2.50). Try their tasty Maple Spice Latte ($3.48-$4.40) to change things up a bit! This rustically decorated shop on Allen is filled with natural light and calming vibes, making it a great place to relax. I We suggest trying a cold brew ($2.75-$3.50) paired with a gooey grilled cheese sandwich ($4.75) served on your choice of Sicilian or sourdough bread with tomatoes, colby, pepper jack, and sharp cheddar cheese. Is there anything better than a really good grilled cheese? Nope.The answer is nope. 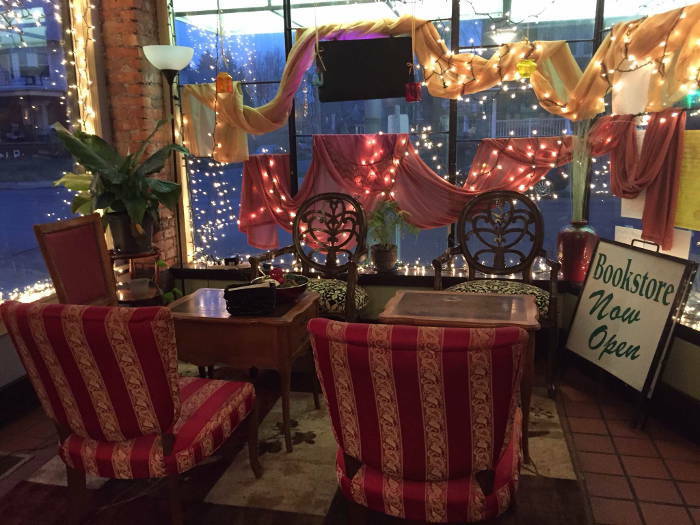 Buffalo Rome Café is what every neighborhood needs. It’s tucked away on Porter Ave serving up a fantastic cappuccino and homemade croissants (both $3 each). 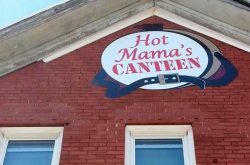 If you’re looking for more of a meal, their menu isn’t huge, but houses some truly delicious items. The French scramble with asparagus and brie cheese on baguette bread ($5) is a small price to pay for a lot of flavor. Skim through the books while sipping on an iced latte ($2.75-$3.75) with a flavor shot of Irish cream, peach, or hazelnut at this adorable shop. They have a menu of sandwiches, wraps, all day breakfast, appetizers, salads, and more. Snack on their homemade spinach and artichoke dip served with toasted pita ($6) or enjoy something light like a chef salad with mixed greens and veggies ($6). For something not-so-light, try the Beast made with two eggs, roast beef, caramelized onion, grilled Portabella mushrooms, and Swiss cheese on a bun toasted with garlic butter ($7). Ummmm, yes please! Caffeine addicts and local musicians have created their own little sanctuary at Daily Planet on Hertel Ave. Expect dishes like the Mediterranean Veggie sandwich with portobello mushrooms, apricot, and onion, in a curry glaze on ciabatta roll ($6.44) or a rosemary blueberry scone ($2.99) while you listen to the live music featured every Sunday. 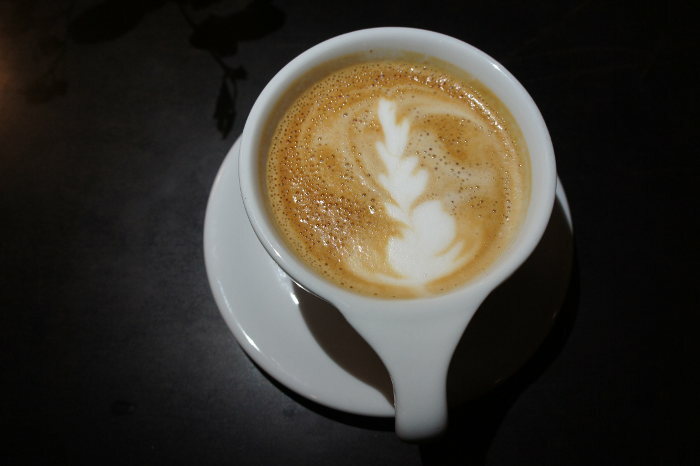 For energy, we highly recommend the Brazilian Cortado ($2.99). It resembles a macchiato, with a little chocolate, more foam, and a dash of cayenne. Sometimes, you just need a go-to coffee shop where you’re in and out with a delicious (and cheap) coffee in your hand. Don’t get us wrong, we can a hand poured cup or a fancy schmancy latte, but paying $5 on a daily basis really breaks the bank. Grab a delicious take away coffee from Cafe Taza that costs only $2 for a large! 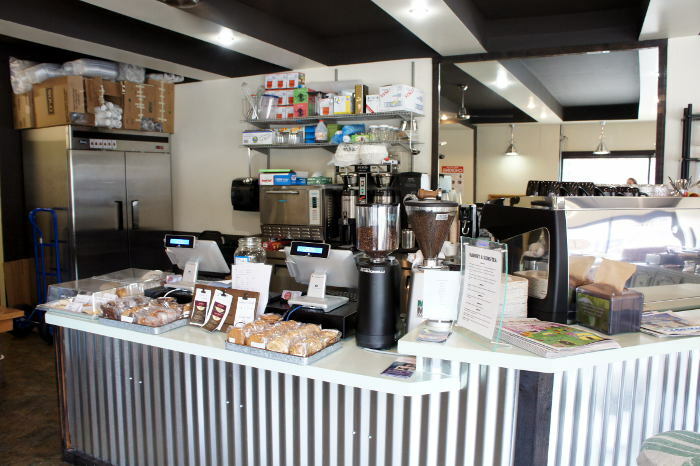 This Canal Street cafe and roastery roasts their own coffee in small batches, offers baked goods from other local businesses, and features a weekly Morning Music Series every Saturday morning for your listening pleasure. 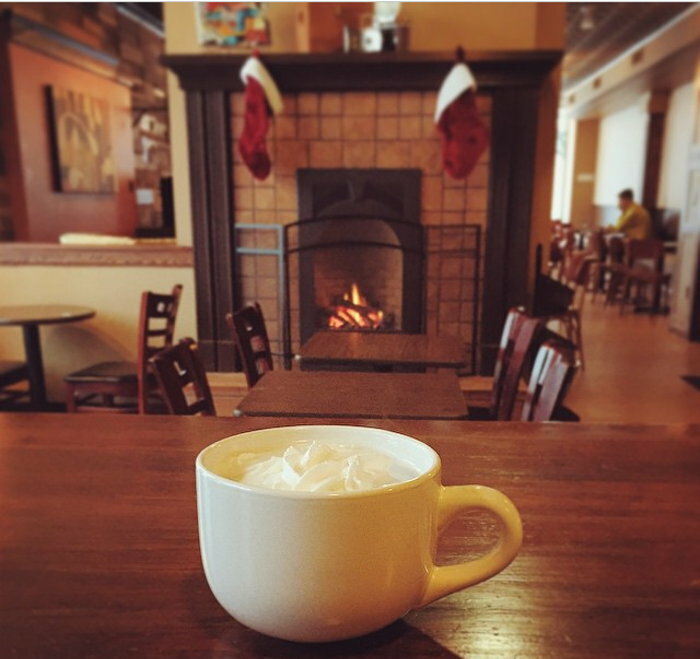 Try a Matcha Latte or a Sponge Candy Hot Chocolate. They also have a bookshelf *stocked* with board games. 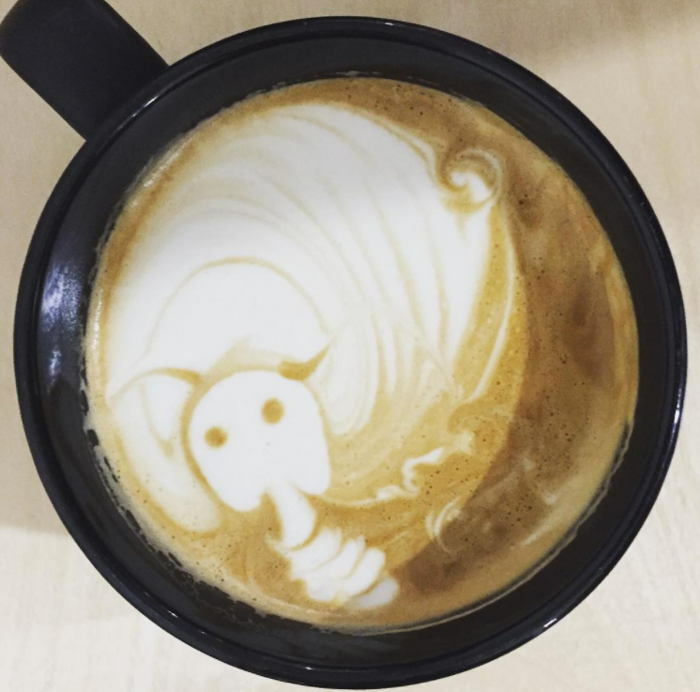 Pro Tip: the latte art is on POINT and they have the Instagrams to prove it. Orange Cat literally has a corner market where you can purchase coffee beans and oils! Kick back in their seating area that slightly resembles a living room, and enjoy an espresso (just under $2) or one of their specialty drinks, then do a bit of shopping before you head out! If you’re looking for a quiet place to relax, Mimi’s Central Perk if a great place to order an iced coffee ($1.75) and a protein packed tuna salad sandwich on a croissant ($3.50). The Village of Lancaster is often overlooked and it shouldn’t be. There. We said it. After getting some of your energy back at Central Perk, check out some of the local shops and food markets in the area! 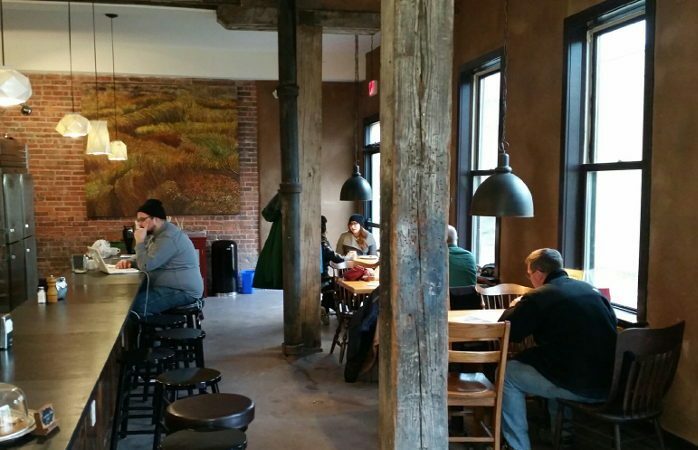 Clarence Center serves way more than just coffee, including beer and wine specials FTW. Enjoy a free cup with the purchase of any breakfast sandwich or wrap. 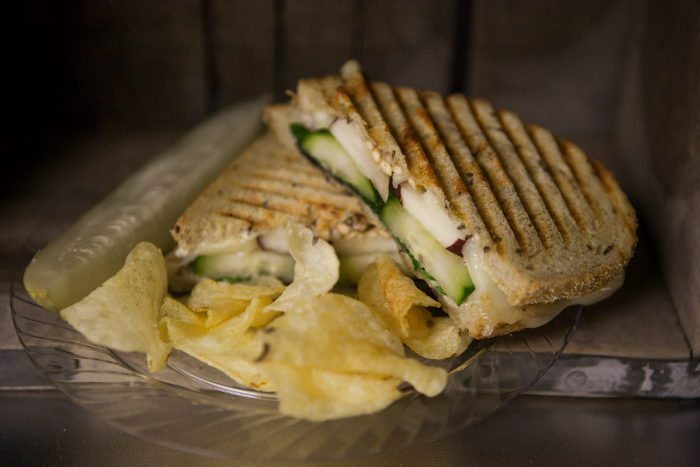 They have a jam packed menu with breakfast, sandwiches, paninis, salads, wraps, and even gluten free options. Try The Flossy ($8.29) made with grilled portabella mushrooms, roasted red peppers, artichoke hearts, zucchini, red onions, tomatoes & fresh basil with pesto and fresh mozzarella & greens to go with your cup a joe! The name of this place speaks for itself. There’s an entire menu full of hand crafted, tricked out French dessert crêpes ($12) and Belgian waffles ($13), plus cakes, brownies, cookies, and ice cream! Basically, if you have a sweet tooth, you’ll be in heaven here. What pairs great with desserts? You guessed it – coffee! These guys have an extensive menu full of coffee (they roast their own and are now selling bags in Whole Foods! ), tea, paninis and wraps, salads, blended drinks, breakfast, and more. You’ll find espresso drinks here, if that’s what you’re looking for. 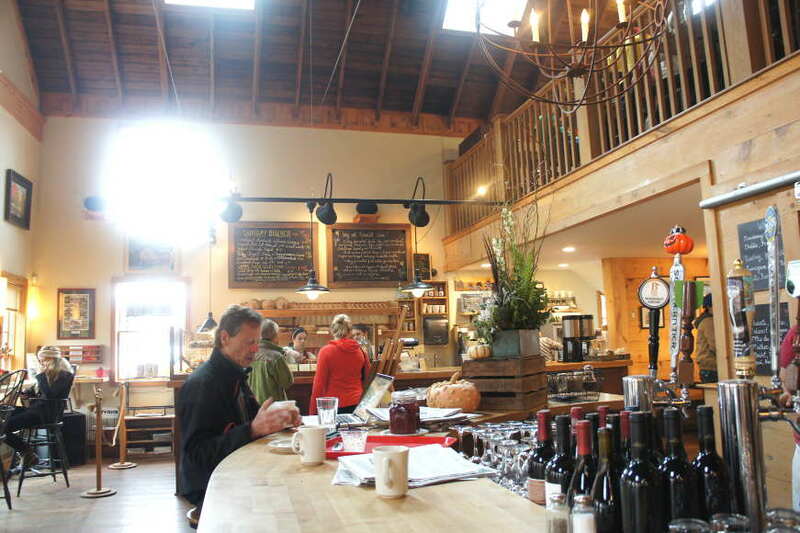 Seasonal American cuisine is served all day in this airy, rustic-chic cafe/bakery with a brick oven. This hidden gem (not so much in the Southtowns anymore) in East Aurora roasts their own coffee, and it’s one of the best cups you’ll taste in the WNY area ($1.95-$2.65)! If you’re there for breakfast, we suggest a French pastry ($3-$3.95) or the bacon cheddar scones ($3.25-$3.50). For lunch, they have a great chilled Cucumber Gazpacho soup ($5.25 for a cup and $6.50 for a bowl) and an Egg Salad Sandwich ($6.50 for a half and $10.50 for a whole) made with local eggs, celery, onion, capers, herbs, mayo, dijon, and vinegar served on a seeded sourdough. When you’re weaving in and out of the Main Street shops, fuel is a necessity. Look for the cute coffee cup decorating the outside of this cozy café. Grab a Vidler on the Roof sandwich ($10.95) with roasted red peppers, onions, spinach, asiago and feta cheese, and drizzled with balsamic vinaigrette to go with the ET mocha (stands for Exquisite Taste aka their old name – who knew!). The ET mocha ($3.80-$4.50) is a secret recipe that’s super creamy and chocolaty with a little coffee in it. If you need an extra kick, get the Mudslide ($4-$4.75), the ET mocha with a shot of espresso. Our of our favorite stops for food at breakfast, lunch, or dinner is also a great spot to stop for coffee. 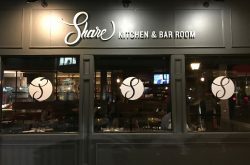 This restaurant (quick serve by day, table service by night) offers coffee using beans roasted right here in Buffalo by Public Espresso. While the coffee selection isn’t exactly extensive, they do what they do very well. Get a hot ($2.50) or cold ($3.50) brew, Cafe Au Lait ($3.25), a Vanilla Steamer ($3.50), a french press ($5 – $7.50), or pour over ($3). 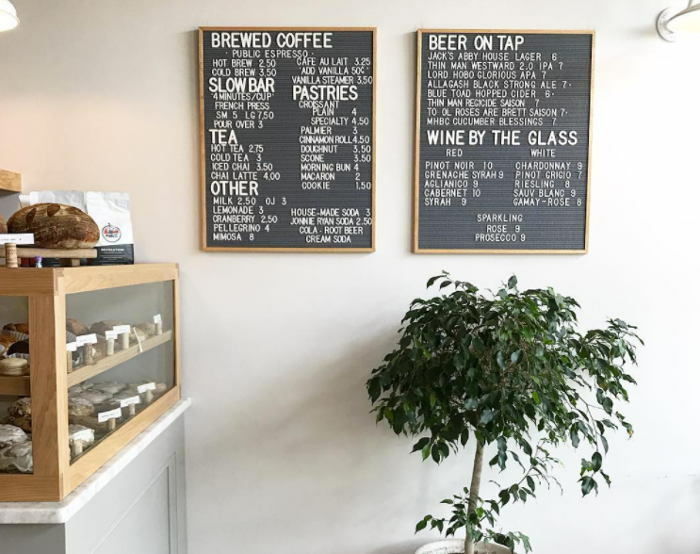 They also have some team options that we’re willing to be you’ll be into and a variety of pastries made in-house and seasonal breakfast sandwiches that are to. die. for. This small cafe gives off small town coffee shop vibes. 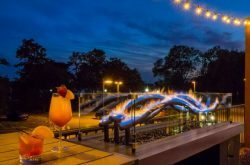 They have an extensive menu and an eclectic variety of flavors and types of each item they serve from beverages to food. Grab coffee, tea, sandwiches, etc. The soup is always a good choice here! 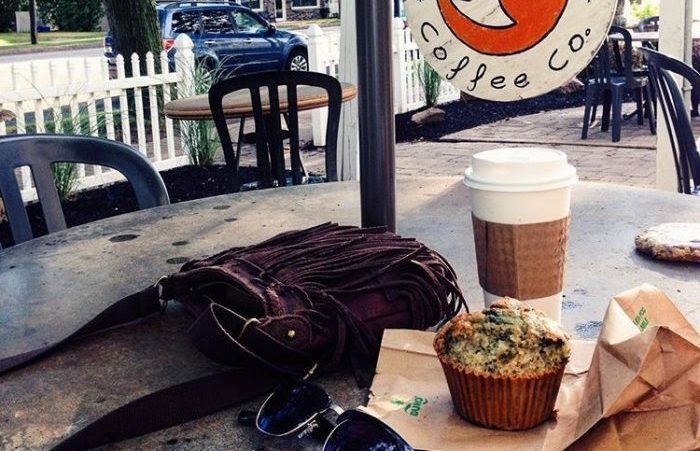 Are we missing your favorite coffee shop? Email us at info@stepoutbuffalo.com or DM us on Instagram @stepoutbuffalo.